Little Things that Make Me Swoon! Hey Dolls! It’s the Fourth of July holiday weekend, and I’m sharing some of my holiday inspiration – all thing red, white and blue – that are making me swoon! 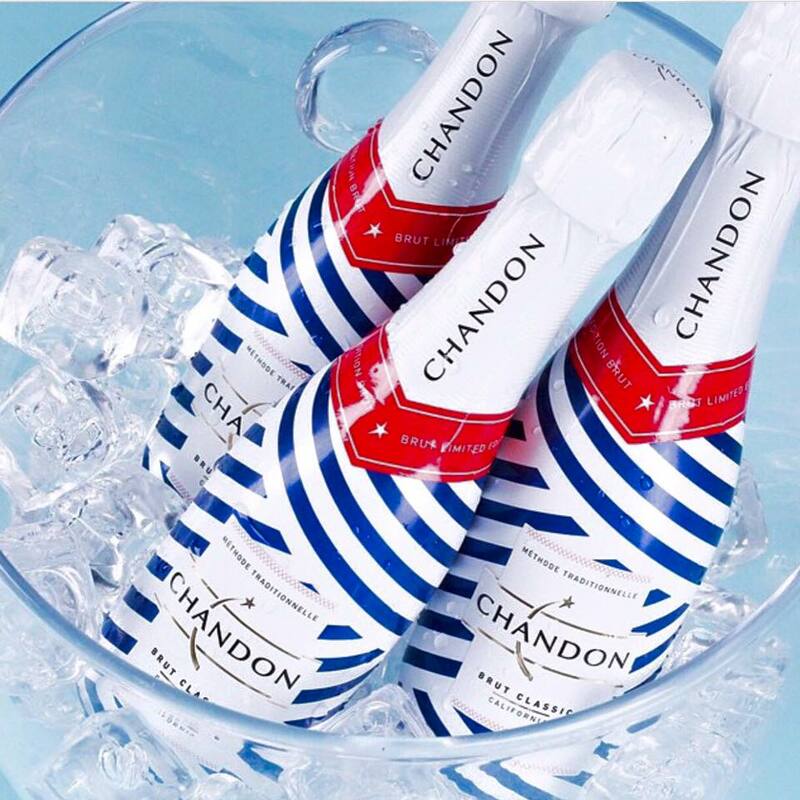 With its chic nautical red, white and blue design, this Domaine Chandon Brut Classic limited-edition bottle, inspired by the great “All-American Summer,” is the perfect way to sip in style. 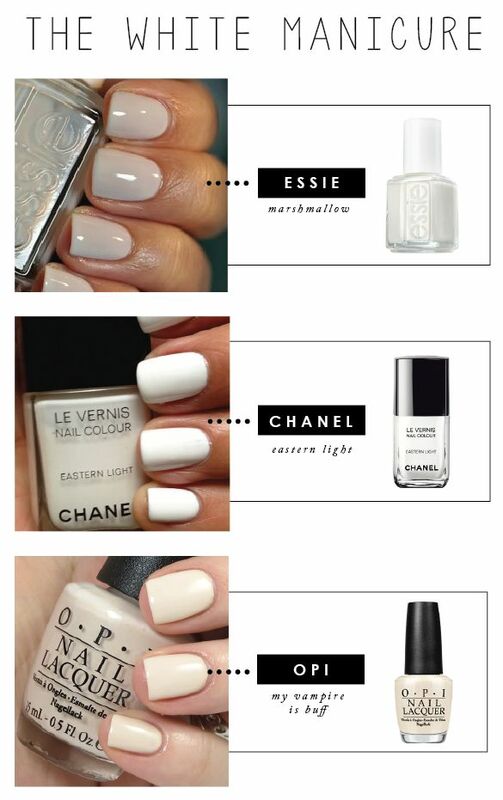 Neat, clean, an fresh – these white manicures speak summer. Love! 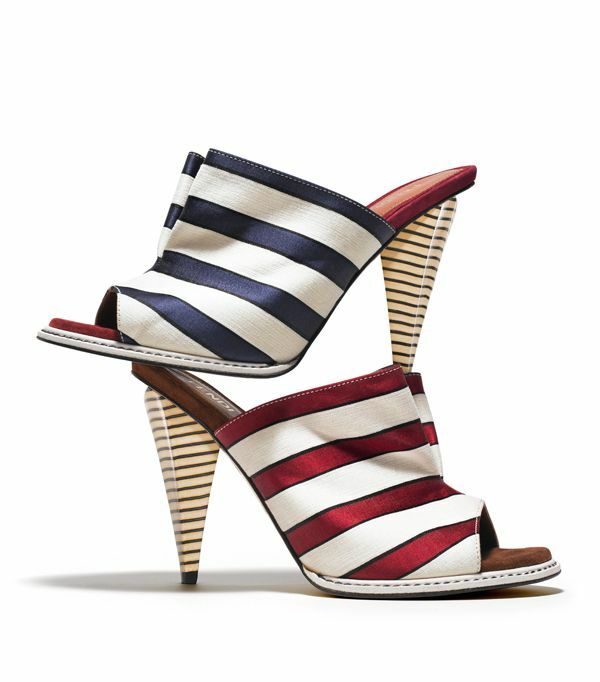 Summer and the Fourth aren’t just for flip flops and thong sandals. These numbers are perfect to sport with white shorts, a crisp linen shirt; or beautiful caftan as you are entertaining. 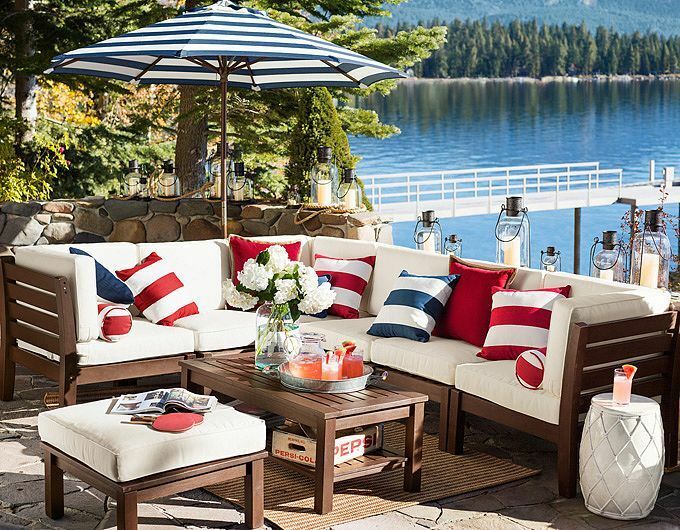 I love the idea of styling lawn furniture with red and white pillows to capture the spirit of the Fourth of July holiday. However you mark the holiday, do it Pretty Domestic style. Happy a safe and happy Fourth!